The present study aiming at determining the level of job expectation of instructors according to generations was carried out in descriptive survey based on quantitative method. The population of the study is the instructors in education faculties in all public universities in Turkey. The sampling of the study consists of 674 instructors at education faculties in 68 public universities. The data was conducted in spring semester 2014-2015. As the data collection instrument ‘Job expectation Scale’ by Balcı and Bozkurt (2013) was used. It was found that level of job expectation of instructors is quite high. According to the results of level of job expectations of instructors regarding seniority, level of job expectations of instructors having 6-10 years of seniority is higher than the instructors having 16-20, 26-30 and 31 and more seniority. The results of the level of job expectations of instructors in terms of generation support the results related to seniority. The study showed that Y-generation instructors’ level of job expectations is higher that the instructors from baby boomers. Akman, Y. (1992). Hacettepe Üniversitesi Eğitim Fakültesi Öğrencilerinin Meslek, Evlilik ve Geleceğe Yönelik Beklentileri. Hacettepe Üniversitesi Eğitim Fakültesi Dergisi. Sayı: 7. Pp. 125-149. Beydağ, K. D.; Gündüz A.; Özer F. G. (2008). Sağlık Yüksekokulu Öğrencilerinin Eğitimlerine ve Mesleklerine Bakış Açıları, Meslekten Beklentileri. Denizli: Pamukkale Tıp Dergisi, 1 (3), pp. 137-142. Can, Y. & Soyer F. (2008). Mesleki ve Sosyo-Ekonomik Beklenti İle Yaşam Tatmini Arasındaki İlişki: Beden Eğitimi Öğretmenleri Üzerinde Bir Araştırma. 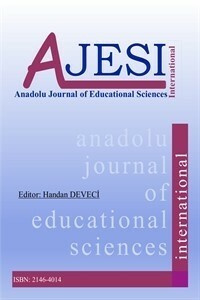 Atatürk Journal of Physical Education and Sport Sciences (atabesbd). Dalal, A.K & Singh, R.A. (1986). An Integration Theoretical Analysis of Expected Job Attractiveness and Saticfaction. International Journal of Physchology. Vol. 21 (4-5). Pps. 555-564. Erden, M. (1989). H.Ü. Eğitim Fakültesi Eğitim Bilimleri Bölümü Öğrencilerinin Meslekleri İle İlgili Beklentileri. Ankara: Hacettepe Üniversitesi, Eğitim Fakültesi Dergisi. Sayı: 4, ss. 93-107. Kutlu, M. O.; Schreglmann, S.; Arı, N. (2013). Bilişim Teknolojileri Öğretmeni Adaylarının Mesleki Beklentilerinin Çeşitli Değişkenler Açısından İncelenmesi: Ç.Ü. Eğitim Fakültesi, Bilg. Ve Öğret. Tekn. Eğitimi Bölümü Örneği. Kastamonu: Kastamonu Eğitim Fakültesi Dergisi, Cilt: 21, No: 3. Lancaster, L. C. & Stillman, D. (2003), When Generations Collide: Who they are. Why they clash. How to solve the generational puzzle at work. , New York: HarperBusiness. NY. Scholz, C. (2014). Generation Z: Wie sie tickt, was sie verändert und warum sie uns alle ansteckt. Weinheim: Wiley-VCH Verlag GmbH&Co. KGaA. _74837309/eec831de/Generationen%20F%C3%BChren.pdf) Erişim tarihi 01 Kasım 2015. Tulgan, B. (2000) Managing Generation X: How to bring out the best in young Talent. New York: W. W. Norton&Company. Uras, Meral; Muammer Kunt (2006). Öğretmen Adaylarının Öğretmenlik Mesleğinden Beklentileri. Pamukkale Üniversitesi Eğitim Fakültesi Dergisi, 19(19), 71-83. Zemke, R.; Raines, C.; Filipczak, B. (2000). Generations at work: managing the clash of veterans, boomers, X’ers, and nexters in your workplace. New York: Performance Research Associate, Inc.